Excellent Opportunity to acquire a full-service marine / marina located on one of Indiana' s finest private lake developments. This is the only marina that operates on this lake in an area that does not flood. Property and business has been family owned since 1974 and owners want to retire. Property sits on 3.98 acres and has two gas docks and ample room for substantial expansions. Located in South East IN surrounded by a private subdivision encompassed by 250 sections of land with 5.5 miles of shoreline. A very popular location with nearby hotels motels and restaurants. Upscale Area. *NOW AVAILABLE FOR LEASE WITH OPTION TO PURCHASE !!!! 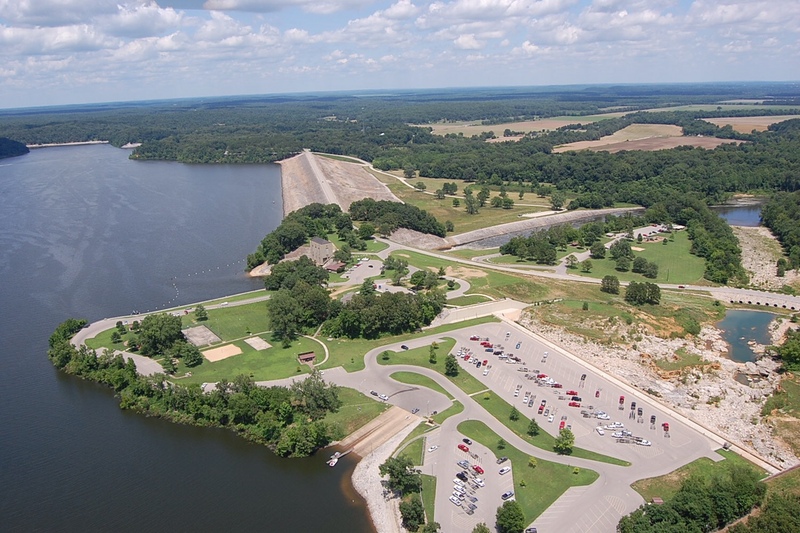 Rebel Harbor Marina is a turn-key operation ready for immediate occupancy on the most visited body of water by tourists, the Lake of the Ozarks. It could be profitable as a full service marina and also has the potential to be converted to a resort style property in conjunction with the 8.73 acres of land currently plotted for campground /cabins that is across the road from the lake and marina. This land has an approx 7000 sq ft boat storage building. The marina itself sits on a peninsula with 1.87 acres of lakefront. Marina has private boat dock for owners and currently has 48 slips in docks. It already has storage buildings, a shop, a 3 bedroom 2 bath manufactured home. A great opportunity for a developer looking to build a condo style complex on the 8.37 acre land and use the marina on the peninsula to provide water activities for the residents. The property offers an opportunity for doubling the number of slips, vertical expansion of buildings, expansion for new covered docks, starting rental fleet for fishing boats, pontoons and wave runners. Lots of possibilities !!! No Zoning restrictions !!! Rebel Harbor Marina is located in the heart of Missouri, Lake of the Ozarks, which offers a wide variety of recreational activities such as fishing, boating, golfing, shopping, fine dining, state parks, night life, and lodging. The lake has a surface area of 55,000 acres and over 1150 miles of shoreline. Marina is a certified MerCruiser dealer and is known for being the only and one-of-a-kind advanced mechanic shop & service in the area. All around water views for possible development on peninsula. Expansion for new covered docks. Equipment, inventory, and supplies of business included in sale. 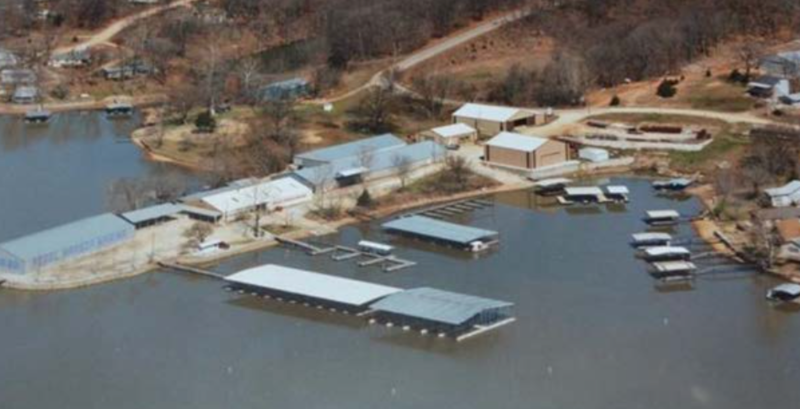 This award-winning marina that is family owned for 40 years is well known for being Southeast Missouri's boating headquarters and offers boat/pontoon sales and rentals. It sits right on Hwy D, a very heavily traveled highway. Sundowner marina main building is 5200 SF and houses a Lowe boat dealership that has been in operation for 32 years and is an exclusive in seven counties. Marina has earned the 2013 "Prestigious Award" from Lowe and in 2012 a Top Ten Dealership Award. Sundowner sells 40 to 50 new boats a year solely through word of mouth and no advertising. It also houses a Mercury Marine Dealership that deals with sales and service of Mercury engines, parts and inflatables. A second building houses a showroom for fishing boats they sell. A new roof was installed on this building in 2016. The marina also has a two-bedroom two-bathroom residence that draws in a monthly rental. Located in Southeast Missouri on Lake Wappapello! 1/2 mile north of the dam on Highway D.
This profitable Wisconsin Marine Dealership sells and services new and pre-owned pontoon, fishing, deck and ski boats, motors and trailers, offers marine accessories, sells and installs docks and boat lifts, and offers winterization and winter storage services. This stable, well-established business has been under the same ownership for over 27 years, and is located in an area with several lakes and rivers with demand for many types of boats. Full financials are available to qualified buyers with signed confidentiality agreement. Full service marina, restaurant and bar located on idyllic Lake Champlain. Offering seasonal and transient dockage, lakeside dining, boat and kayak rentals,, full service and repairs, diesel and more. Also offering a unique Ship’s Store & Boutique features clothing, toys, books, tableware, jewelry, gifts, and marine supplies. The Restaurant creates a relaxing, memorable lakeside dining experience, with a pet friendly deck and live entertainment. Contact broker for additional details and inventory list. Full service marine repair facility on the Alton Pool of the Upper Mississippi River located in the Harbor Point condo marina. A well-established service business with full water access. • Large lift with lift pier. 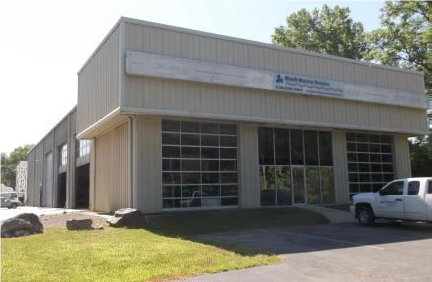 • Large outside and inside storage facility and repair shop. • In close proximity to 2 other large marinas that do not have their own in-house service facilities. The sale price includes the location only as well as water rights! Two businesses located in Three Lakes, Wisconsin. Sunset Grill bar/restaurant and convenience store is located on the lake, and offers pontoon rentals, and Anchor Marine is located directly across the street. There is a private boat launch with auto and marine fuel. The restaurant has a large kitchen with updated equipment and a liquor license. The restaurant serves breakfast and lunch menu items Thursday-Monday from 6am - 2pm. The convenience store/ice cream shop serves snack items and also offers boat gas. Pontoon boat rentals are also available! Mansard Island Resort & Marina/Campground RV Site is in Northwest Tennesseeon Beautiful Kentucky Lake. It is within a day's drive of 70% of the nation! Mansard Island offers comfortable lodging with a touch of home, bordered by woods and naturemaking every day an adventure. Breathtaking views of nature abound from this lakeside resort property. Approximately 37 acres of owned property and approximately 13 acres of leased property at our marina. Only half of our owned property is currently developed leaving plenty of undeveloped property for future development of expansion. The land is mostly level and gently slopes to the waters edge and has two ponds one is about 7 acres and the other is about half an acre. Located on Lake Wappapello, Missouri on Rockwood Point just 200 ft. from the water’s edge, resort is quiet with no through traffic, yet within easy access to all lake-area activities. Marina includes 140 boat slips, 15 rental cabins, 5-acres fee simple, 29 acres Army Corps (upland/water), office with manager’s residence, 2-bedroom, 2-bath home, floating ship store and gas dock, five large flat parking lots. Five boat docks. Gas, oil, ice, sandwiches, picnic supplies, etc at main boat dock. Boat launching ramp, slip rental, fishing boat and pontoon boat rental, bait, and fishing supplies; also available on the main dock. 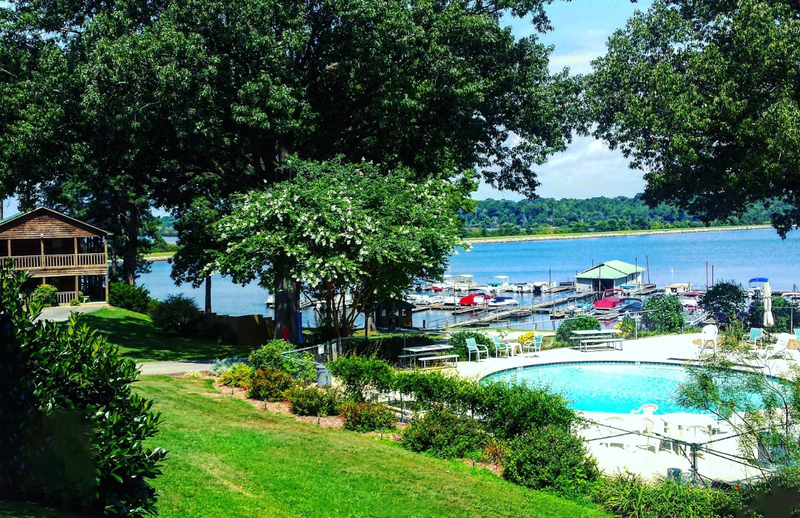 Pleasant View Resort is located in a quiet secluded cove on beautiful Kentucky Lake featuring a marina and a variety of lodging accommodations, including 3-bed rental homes, 3-bed rental cabins and 2-bed rental efficiency cabins. Amenities include Swimming Pool, Central Heat and Air, Satellite TV, WiFi Hot Spots, Charcoal Grills, Full Service Kitchens, Marina with electrical outlets, fish cleaning station, gas, ice, beverages and snacks, Public ramp adjacent to Marina, Nearby restaurants, golf course, TWRA Visitors center, and antique shops. The resort is located near the back of Big Sandy Bay on Kentucky Lake. The secluded location offers a paradise for fishing, hunting and water recreation. The view and land across the bay from the Marina is the wildlife refuge and will never be built on (commercialized).